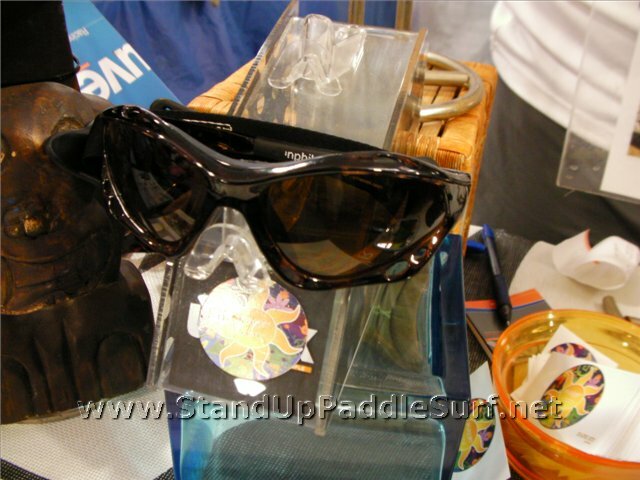 I’ve been using the Sunphibian Polarized Sunglasses from Planet Sun for the past month or so after picking up a pair at the Ocean Expo. 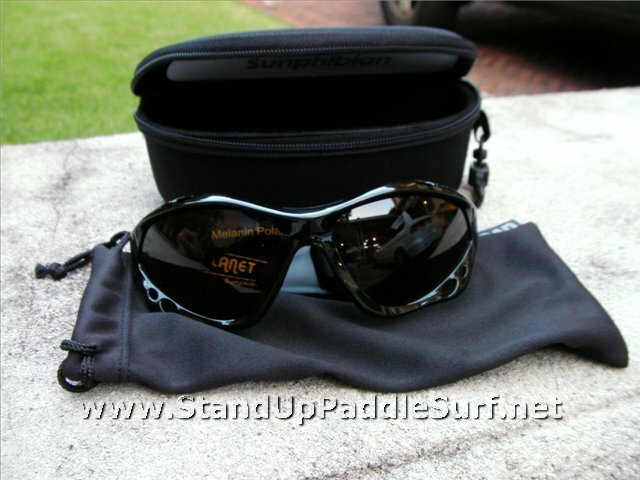 These are some of the best sunglasses for the water that I’ve used so far. 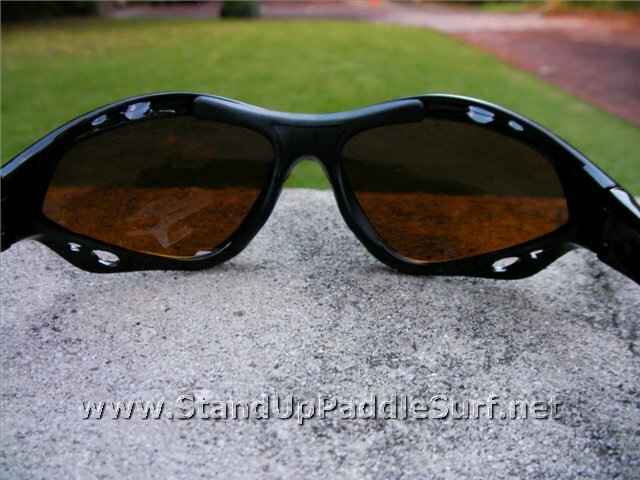 The ones I wear have an amber lens that blocks the sun and adds more detail which is especially helpful when doing downwinders. These sunglasses cut the glare off the water really well and have a pretty good hydrophobic coating on the outside of the lens. I added some Surf Nano Product to the inside of the lens and have no issues with fog or water spots. 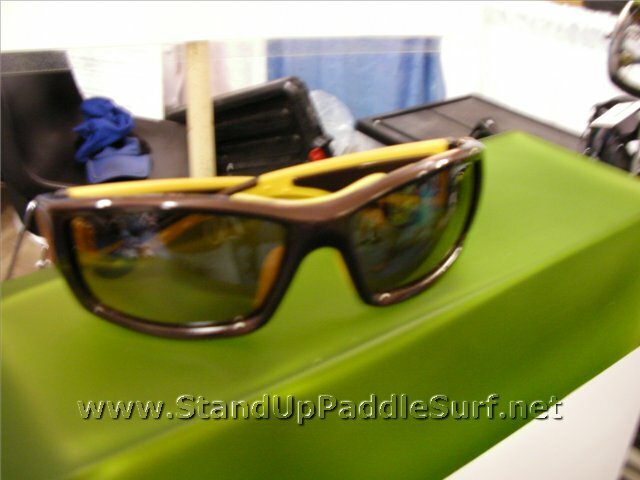 When John, the owner of Planet Sun started explaining to me the technology behind the sunglasses, I decided to just shoot a video instead of trying to regurgitate what he was saying. As you can tell, John is pretty passionate about his products. I’ve been using the sunscreen lately too and like it a lot. More on that later. 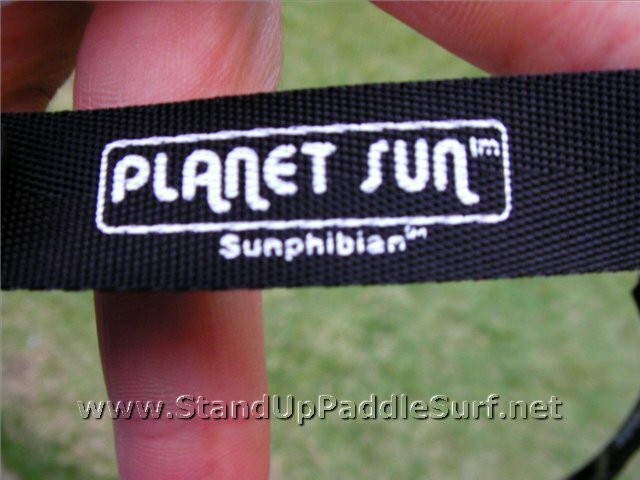 Click below to watch John give an in depth explanation of the Sunphibians. These are excellent eyeware. I use them on a daily basis including for driving too. The glasses are especially great on those mornings just after the rain “slicked” the road and the sun’s glare off the road is intense. Big safety factor. 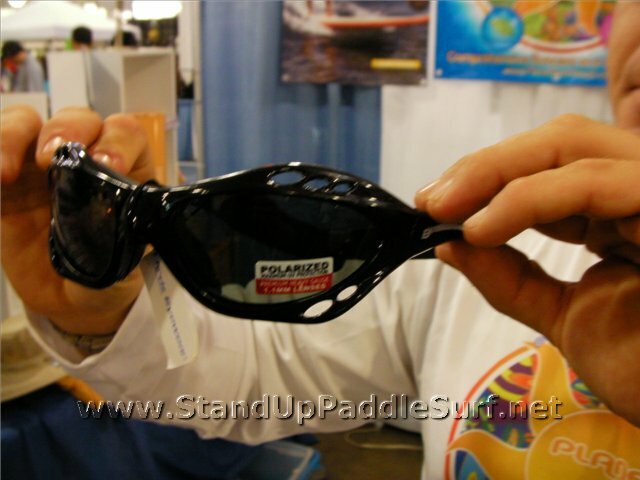 These are some bomb-proof glasses!! 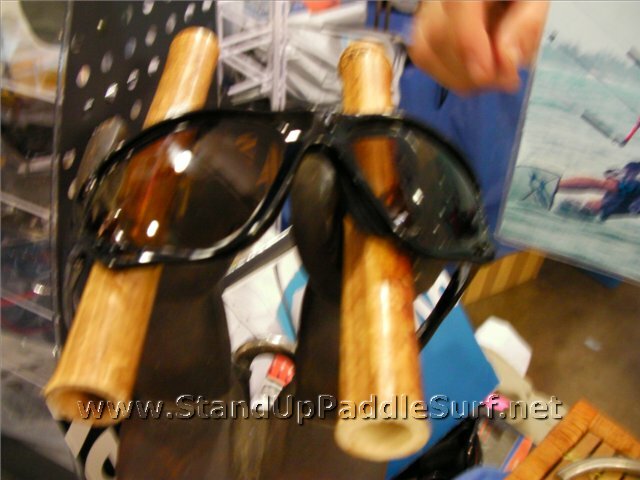 I use them for anything from kite-surfing and SUP to mountain biking and running. Great optical clarity and have taken hits in all sports arenas that would destroy lesser eyewear! Love ‘em!!! I had spent about $400 on various other glasses over the years for eye protection and they all ended up at the bottom of the ocean or floating out to see cause the strap system did not hold properly. In my years doing U.V. 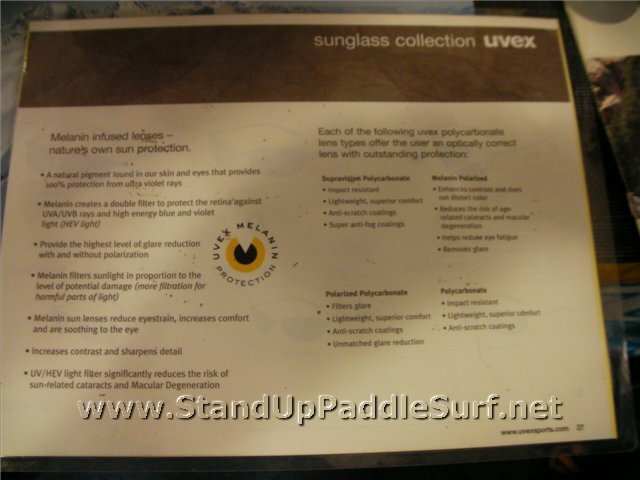 research for NOAA in Colorado I learned the danger of UV to your eyes and I will never do ocean sports without some form of protection. Until you come out with something even better, this is what I will be using. 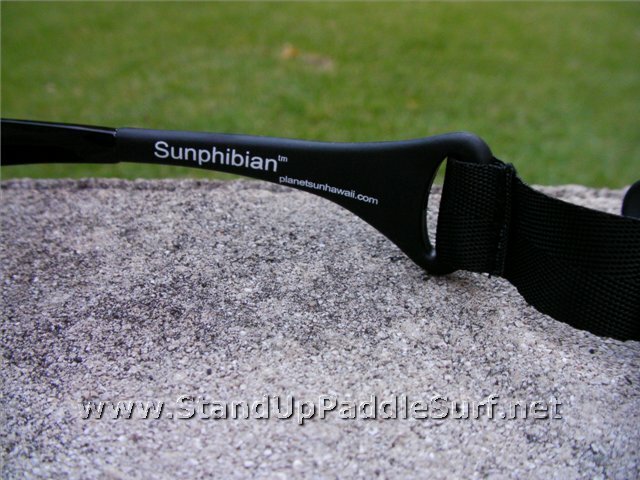 I’ve been using the Sunphibian glasses on downwinders and find that they are excellent at cutting the glare which allows me to “read” the bumps better, so they actually make me faster. 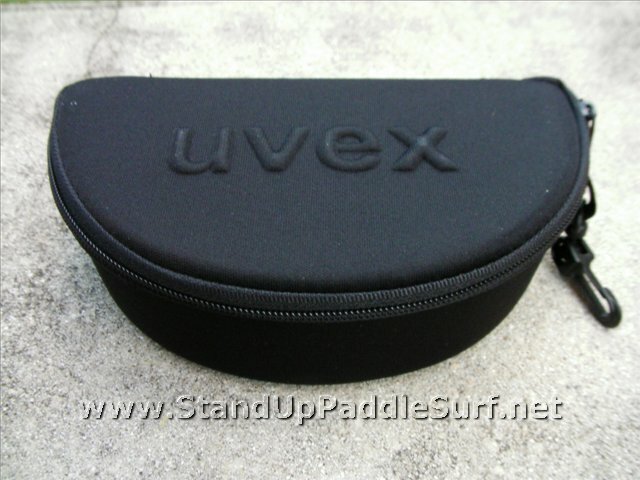 Plus they protect my eyes- highly recommended- good job John. 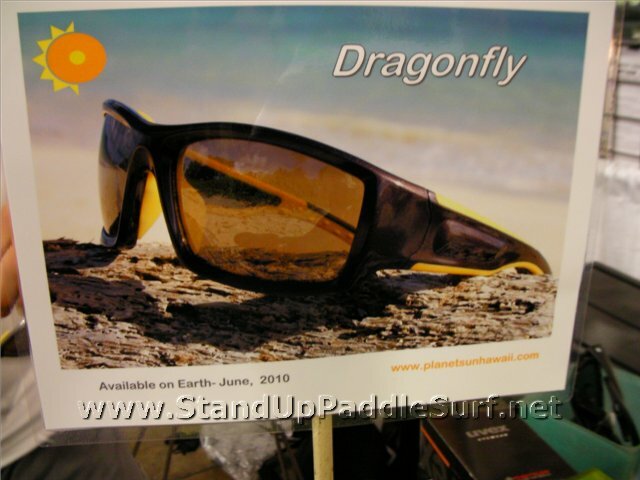 I’m looking forward to trying the new Dragonfly model. I don’t have the Sunphibian, but I do have the Italian frame MP series glasses w/ the melanin lens. That lens is incredibly clear and if you are on or near the water… you will not be disappointed! The frame is darn near indestructible as well. 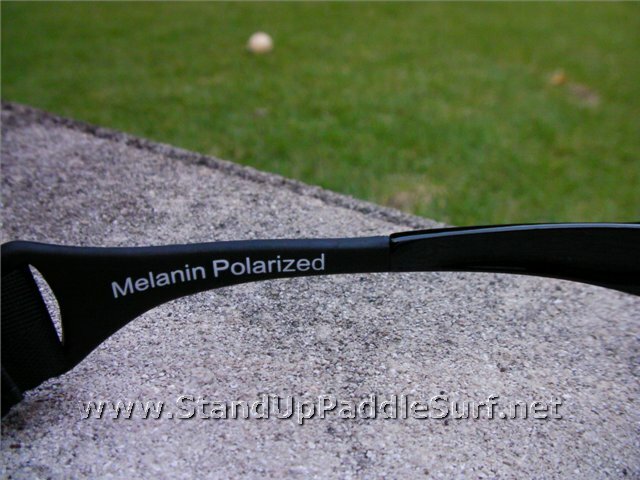 I would highly recommend the entire line of melanin lens sunglasses and John at Planet Sun runs a great business and is honest hard working individual that will insure you are satisfied w/ his products. The sunscreen products rock as well. I, for one, put the sunscreen through the paces on a regular basic and it has not disappointed. I’m certain you will be happy with the sun care products when you try it out! 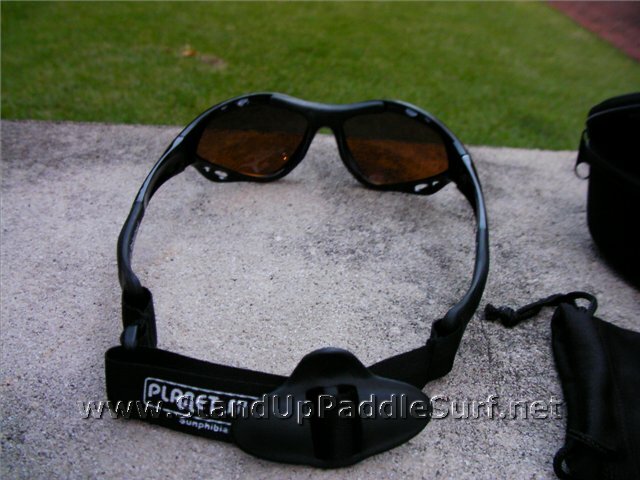 I just completed the Steinlager Kaiwi channel Solo outrigger race and used the Sunphibian glasses. 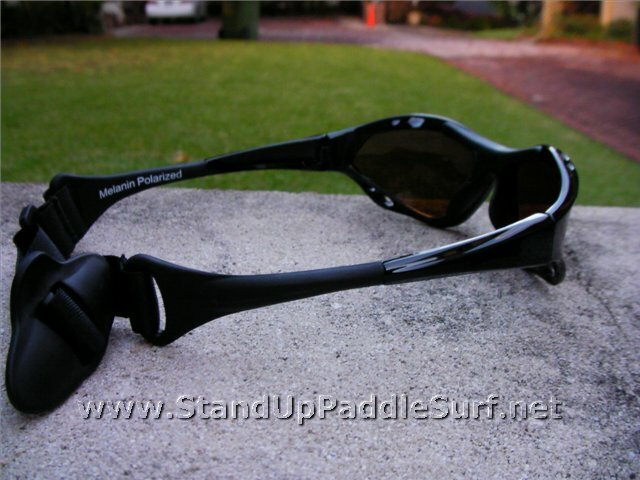 These are the best performance glasses I have ever had! I didn’t have to think about my eyewear once. No fogging, no water spots, great in bright sun and cloud cover. So clear and easy to read the bumps. And to top it all off they never needed readjusting like so many other glasses I have used to race with in the past years. 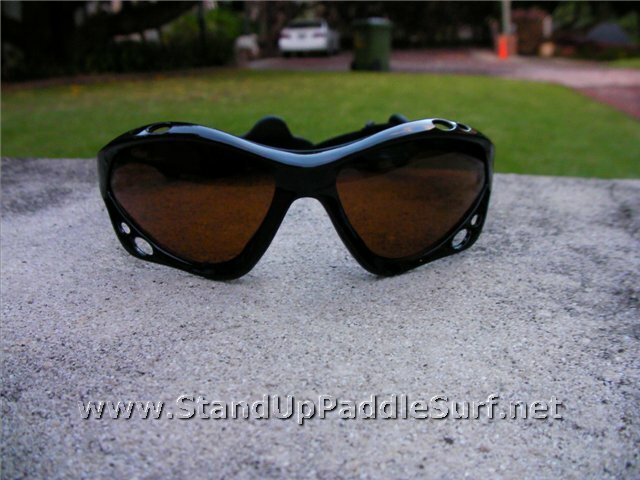 Because of the fantastic strap and the tested and proven fact that they float I have made it through the whole racing season with the same pair of glasses, for water sports that is quite amazing ! Thanks for a great product, John! Where can one buy these and how much are they? Great, but where to get them? 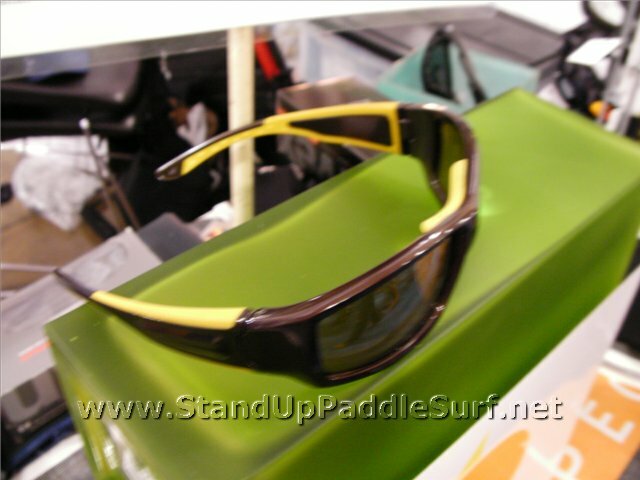 I think you can get them at Tropical Blends Surf, Blue Planet Surf and Wet Feet Hawaii along w/ direct from Planet Sun. Thanks, but no luck finding them for sale on the internet. Do they have any dealers on the big island? 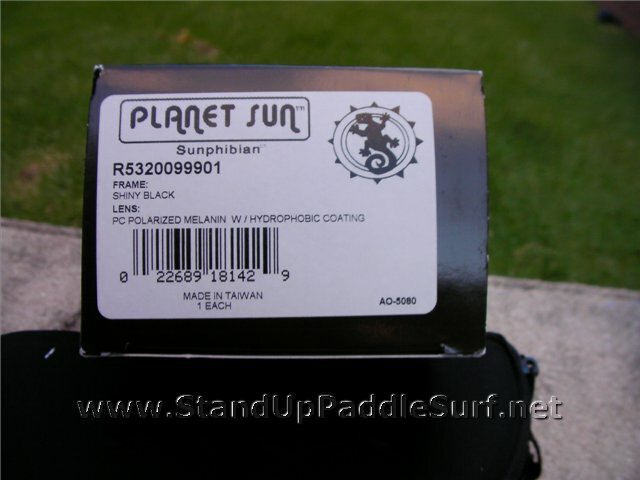 Adam – Contact John at sales (at) planetsunhawaii dot com, mention that we referred you and he’ll give you a discount when ordering direct. No dealers on Big Island yet. Wow! Looks like this eyewear is a good buy huh! One great stuff for multi-purposes. I think I am going to have one for my swimming, diving and driving as well.